With the temperature peaking at around 35 degrees Celsius daily, the warm weather in the Philippines beckons a trip to the nearest beach. While packing for the road trip, there are some items you need to put in your weekender bag to make the most out of your short respite from the heat. Never leave for a trip without your smartphone! Well, that is unless you are trying to get off the grid. Your smartphone can be your ultimate travel buddy that will document your getaways, help you stay on track with its GPS feature, and more. 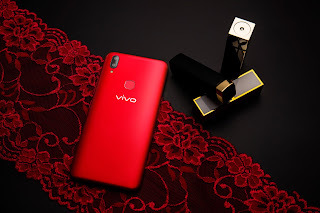 If you are looking for a new smartphone, consider getting a Vivo V9. The latest flagship of the global smartphone brand is a knockout for taking selfies and photos. It has a 24-megapixel AI selfie camera and a 16MP+5MP dual rear camera for capturing your best beach moments. for a better smartphone screen experience. 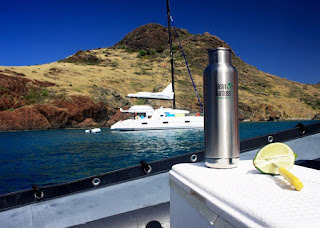 Lounging under the sun may give you a great tan, but remember to keep hydrated with a bottle of water at hand’s reach. Make sure you ditch the single use of plastic bottles by bringing your own bottle. Klean Kanteen has a wide array of stainless steel water bottles including insulated ones to keep your drinks cold throughout the day. Although there are now a lot of shops that offer fashionable swimwear, make sure you stick to those that are made for the rough waves—especially if you are planning to try different beach and water sports like volleyball or surfing. Speedo is a trusted brand by many athletes because of its high-quality swimwear and accessories. With the proper sizing, every Speedo swimwear has a snug fit to keep you focused on the game. Your time at the beach can leave a mark—literall. While you can avoid the sunburn by staying indoors, you might miss out on all the fun. Instead, you may opt to wear rash guards and other protective accessories like wide-brimmed hats. You should also make sure you apply sunblock before going out to the beach. 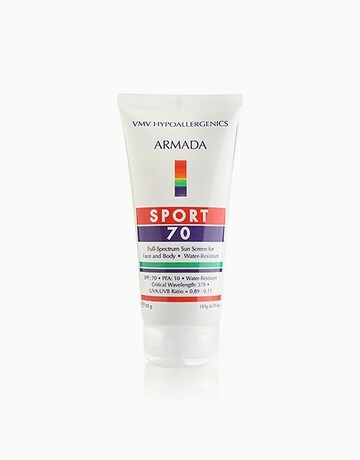 Lightweight and water-resistant, the VMV Hypoallergenics’ Armada Sport 70 may be a sound choice. 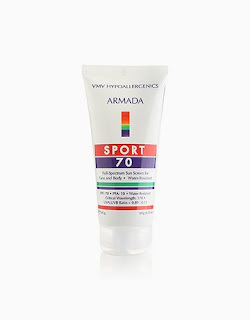 It shields your skin from UVA and UVB rays to prevent sun-related problems. A chubby blogger who enjoys life and lives a life on the plus lane. A wife who is hoping and praying to be a mother soon. A positive person who still believes in the goodness of humanity.